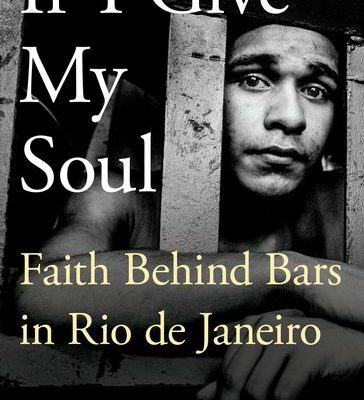 Christianity Today reviewed Andrew Johnson’s book, If I Give My Soul: Faith Behind Bars in Rio de Janeiro, giving the book five stars. Johnson’s research for the book was supported by CRCC’s Pentecostal and Charismatic Research Initiative. If I Give My Soul rises above its academic niche not just because Johnson has spent years inside the prisons with scores of religious volunteers, in and out of the favelas, speaking the language, and building trusting relationships with Pentecostal pastors, narco-gang leaders, crowds of prisoners, and even guards. And it’s not just because his writing is crisp and quick, capable of dramatizing an afternoon of dialogue and conflict in an open-air drug market or a blaring worship service inside concrete walls. What really sets this book apart is Johnson’s quiet mastery of several areas of study necessary to make this subject academically three-dimensional. He integrates the sociology of prisons, the history of Brazil, of Rio and its favelas, the cultural and economic inner-workings of narco-gangs, and the practices and history of Pentecostal Christianity from before Azusa Street clear through to its presence in global slums today. All this while developing a compelling thesis and wrapping up in less than 200 pages.